Organized at Kansas City April 1863, from 11th Kansas Infantry. Attached to District of the Border and District of Kansas, Dept. of Missouri, until February, 1865. District of Upper Arkansas to March, 1865. 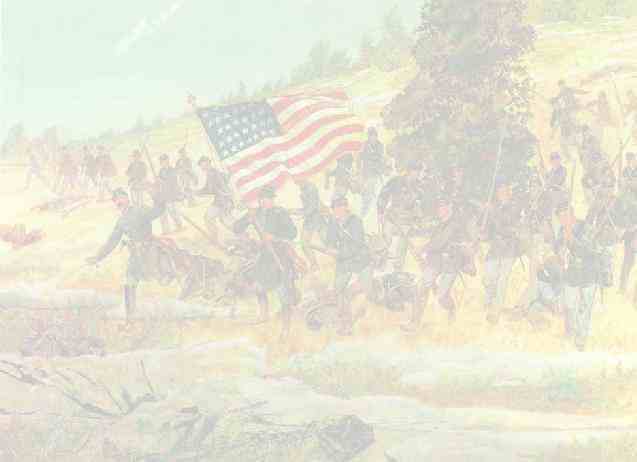 2nd Brigade, 2nd Division, 7th Corps, Dept. of Arkansas, to April, 1865. District of the Plains, Dept. of Missouri, to September, 1865. SERVICE.--Assigned to duty on eastern border of Kansas until October, 1864. Expedition from Salem to Mulberry Creek, Kansas, August 8-11, 1863 (Detachment). Scout on Republican River, Kansas, August 19-24, 1863 (Detachment). Operations against Quantrell on his raid into Kansas August 20-28. Independence, Mo., August 25. (Cos. "C" and "F" duty on Southern border of Kansas December, 1863, to August, 1864.) Company "L" stationed at Fort Riley; Company "G" at Fort Leavenworth as body guard to General Curtis. Action at Scott's Ford, Mo., October 14, 1863. Deep Water Creek, Mo., October 15. Expedition into Missouri June 16-20, 1864. Scout from Salem to Mulberry Creek August 8-11 (Detachment). Operations against Indians in Nebraska August 11-November 28 (1 Co.). Operations against Price in Missouri and Kansas. Lexington October 19. Little Blue October 21. Independence, Big Blue and State Line October 22. Westport October 23. Cold Water Grove October 24. Mine Creek, Little Osage River, October 25. Regiment ordered to Fort Riley December, 1864. Companies "C" and "E" to Fort Larned February, 1865. Regiment moved to Fort Kearney, Neb., February 20-March 4, thence moved to Fort Laramie March 6-April 9, and to Platte Bridge. Duty guarding telegraph lines and operating against Indians until June. Sage Creek, Dakota Ter., April 21. Deer Creek May 21. Platte Bridge, Dakota Ter., June 3. Companies "A," "B," "E," "F," "L" and "M" moved to Fort Halleck June 11-24. Protect stage route from Camp Collins, Colorado, to Green River until August 13. White River, Dakota Ter., June 17. Rock Creek July 1. Fort Halleck July 4 and 26. Moved to Kansas and mustered out September 26, 1865.